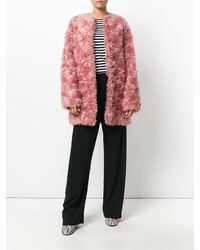 For a smart casual outfit, rock a Stella McCartney fur coat from farfetch.com with grey skinny jeans — these pieces go perfectly well together. If you're on the hunt for a casual yet totally stylish ensemble, marry a Stella McCartney fur coat from farfetch.com with navy ripped skinny jeans. Both items are totally comfy and will look fabulous paired together. Rocking a pair of black leather platform loafers is a simple way to add some flair to your look. 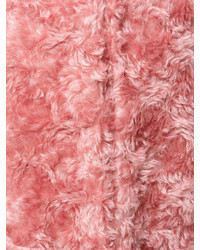 For a nothing less than drool-worthy outfit, dress in a Stella McCartney fur coat from farfetch.com and a pink leather pencil skirt. 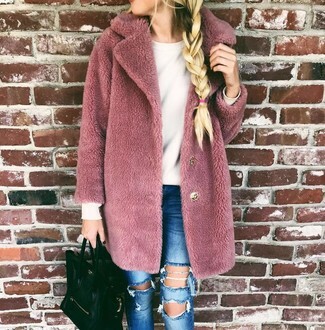 For a cool-meets-stylish ensemble, reach for a pink fur coat and a white bodycon dress — these two pieces fit beautifully together. A pair of white leather heeled sandals will seamlessly integrate within a variety of getups. 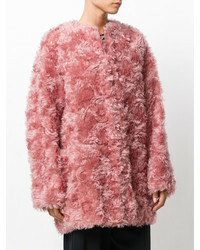 If you're in search of a casual yet totally chic ensemble, pair a Stella McCartney fur coat from farfetch.com with blue ripped skinny jeans. Both garments are totally comfy and will look fabulous paired together. 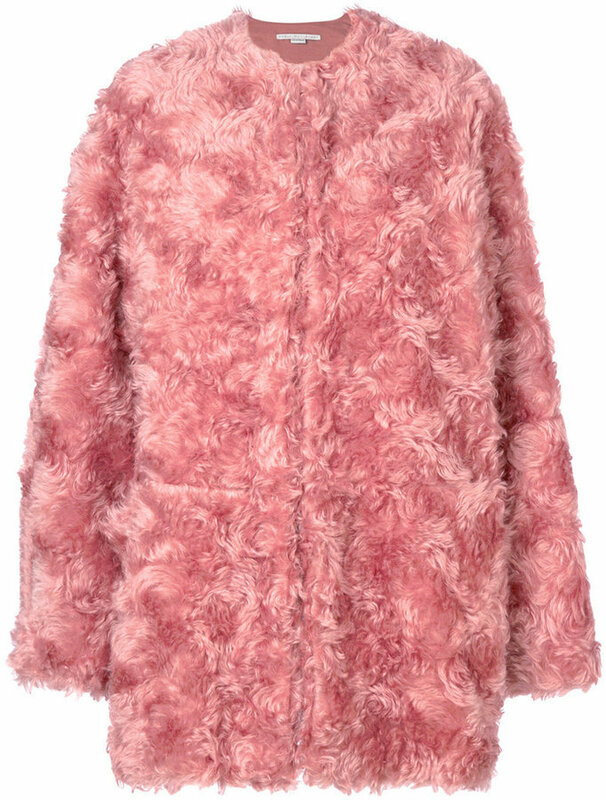 For a nothing less than drool-worthy getup, pair a Stella McCartney fur coat with a pink leather pencil skirt. Pair a pink fur coat with grey dress pants and you'll be the picture of elegance. When it comes to footwear, this look is round off perfectly with white leather ankle boots. For a casually elegant look, reach for a Stella McCartney fur coat from farfetch.com and white skinny jeans — these items play well together. When it comes to footwear, this look is complemented perfectly with pink suede lace-up ankle boots. If you're after a casual yet stylish ensemble, pair a Stella McCartney fur coat with black chinos. Both pieces are totally comfy and will look fabulous paired together. Rocking a pair of black leather ankle boots is an easy way to add extra flair to your ensemble.